Lebanon, officially the Lebanese Republic, is a Middle Eastern country which borders Syria to the north and east, Israel to the south, and the Mediterranean Sea to the west. Most residents are Arabs whose religious differences led to the outbreak of a vicious civil war (1975-1989). Lebanon remains scarred by that war even today. Ninety-three percent of Lebanon’s residents are Arabs (the rest are mostly Armenians), but the Lebanese are splintered into numerous religious sects. The primary division is between Christians and Muslims. 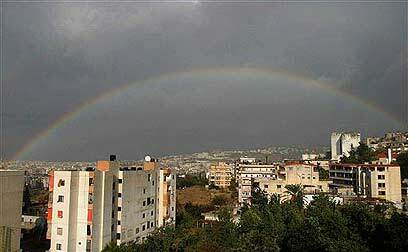 In the past, conventional wisdom held that most Lebanese were Christians, and as a result, Lebanon maintained a unique status within the Arab world. However, during the 1960s, the myth of a Christian majority in Lebanon began to unravel. During the succeeding decades, it became clear that the Muslims outnumbered the Christians, mainly as a result of a higher Muslim birthrate and increased Christian emigration. Even amongst themselves, both the Christians and the Muslims are split along multiple sectarian lines. In fact, the religious-ethnic mosaic is a primary cause of Lebanon’s political instability. Beirut, the capital city, is located on the coast and functions as a port, as do the other major cities: Tripoli, Tyre and Sidon. While Arabic is the official language, many educated Lebanese speak French, and English is slowly becoming more popular. Until the outbreak of the civil war in 1975, Lebanon was one of the Middle East’s primary centers of commerce, and Beirut was a busy financial and investment hub. As a result of the war , Lebanon’s economy collapsed and was only able to recover due to international aid. The economy began to make a comeback in 1990, once the war had ended; inflation was eliminated, and production greatly increased. Focusing most of its attention on the grandiose Horizon 2000 plan for rehabilitating Beirut’s center, the Lebanese government hoped the program would set-off a construction wave, which would stimulate other industries as well, including the manufacturing, business, service and agriculture sectors. Approximately two-thirds of employees work in the service industry; another 10 percent labor in agriculture; and an additional 20 percent are engaged in the manufacturing industry, which mostly involves oil products, food processing, printing, textiles, jewelry, cement, and paper products. Agriculture’s contribution to the national product is relatively minor. In the Bekaa, an area in the east, hashish and opium are grown and then smuggled into Europe and neighboring countries. At the conclusion of World War I, Lebanon became part of the French Mandate in Syria, but shortly thereafter, Lebanon was transformed into a separate French Mandate, whose borders were widened at Syria’s expense. Furthermore, more power was given to the Christian residents. Thus, the initial seeds of Lebanon’s later sectarian troubles were planted, because the newly annexed areas did not have a Christian majority. In 1941, during World War II, Lebanon was captured by the Free French Forces, with British help. In 1943, Lebanon was granted independence by the French. According to an agreement signed that year by representatives of the assorted sects, governmental authority was divided, such that the Maronites received most of the power. The agreement specified that Lebanon was to have a Maronite president, a Sunni prime minister, a Shiite speaker of Parliament, and a Druze chief of staff. Lebanon participated in the Arab invasion of Israel in May 1948, but the Lebanese army gained nothing. In fact, the IDF managed to conquer territories west of the Naphtali Mountains, which were returned to Lebanon under the Armistice Agreement of 1949. During the war, approximately 100,000 Palestinian refugees settled in Lebanon. This number later grew when PLO members arrived after being expelled from Jordan during the Black September uprising of 1970. The PLO gradually gained control over southern Lebanon and began establishing terror bases for attacks against Israel. As the Palestinian organizations strengthened their hold on southern Lebanon and the demographic balance shifted in favor of the Muslims, the Lebanese power -sharing arrangement of 1943 was threatened. Sectarian militias were founded, and the instability increased. In 1975, a civil war broke out between the Maronite Christians and the Muslims and Palestinians. The Maronites called on Syria to aid them in their fight against the Palestinians, and Syrian forces conquered almost all of Lebanon. Palestinian terrorists’ frequent incursions into Israel led to widespread reprisal operations. At first, these operations involved raids and bombardments. However, in 1978, Israel temporarily occupied southern Lebanon in the framework of Operation Litani, during which Israel linked all the Christian enclaves in southern Lebanon in order to create a security zone north of the border. During the late 1970s, Israel helped found the South Lebanon Army (SLA), which was able to contain some of the terror. In 1981, fighting broke out between the Maronites and the Syrian army, and, as a result, cooperation intensified between Israel and the Christians. In June 1982, the IDF initiated Operation Peace for the Galilee, and Israeli forces entered Lebanon in order to expel the PLO from the South. However, in actuality, IDF forces advanced all the way to Beirut; the apparent intention was to impose a new political order in Lebanon. During that period, Bashir Gemayel, the commander of the Christian forces, was elected president of Lebanon. On September 14, Gemayel was assassinated, and the stage was set for the Sabra and Shatila massacre. The massacre occurred in September 1982 when Lebanese Maronite Christian militias entered the Palestinian refugee camps, which were surrounded by the IDF throughout the incident. The number of victims is estimated at 700-3,500. As a result of the massacre, Israel held a commission of inquiry that led to Ariel Sharon's resignation as defense minister. Meanwhile, the war forced the PLO to flee to Tunisia, and the US resolved to get Lebanon under control. An international peacekeeping force, consisting of American, French, and Italian troops, deployed to Beirut nearly one month prior to the massacre. The initial force was comprised of 800 Americans, 400 French, and 800 Italian troops. 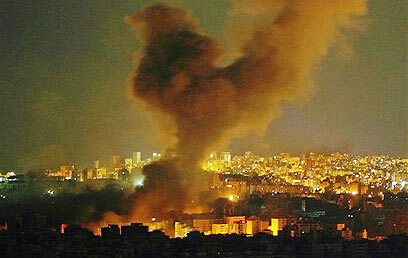 However, the forces soon left Lebanon, following a string of terror attacks. On October 23, 1983, 243 Americans were killed in an attack in the Lebanon airport, and on September 20, 1984, another 16 died when an explosive device was set off in the American embassy. Shiite organizations, such as Hizbullah and Amal, soon filled the vacuum left by the PLO and began attacking the IDF in Lebanon in order to force them to retreat. In August 1983, the IDF retreated to the Awali River, and two years later, after an unsuccessful attempt at coordination with the Lebanese government, the IDF completed its unilateral withdrawal from most of Lebanon. Israel retained a narrow security zone along its northern border, and a limited combined IDF and SLA force continued to patrol the area. In 1987, Lebanese Prime Minister Rashid Karami was assassinated, and anarchy prevailed. An estimated 150,000 people were killed and another 200,000 wounded in the continuing civil war, which ended in 1990 with the signing of the Syrian-imposed Taif Agreement. In the framework of this agreement, the Christian minority was forced to cede some of its traditional authority, even though a Syrian withdrawal from Lebanon was not guaranteed. In the aftermath of the accords, a new constitution was signed. Elias Hrawi was elected president and, with Syrian support, began rebuilding the country and disbanding most of the armed militias. In 1992, Rafik al-Hariri was elected prime minister, and the reconstruction process was accelerated. Meanwhile, Syria remained the final authority on any Lebanese issue. 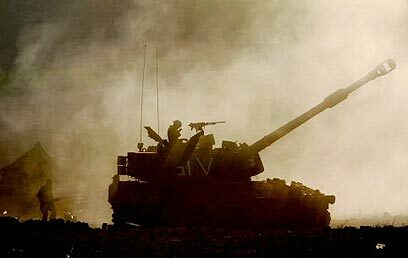 At the same time, Hizbullah continued to clash with the IDF in southern Lebanon, leading to Israel’s Operation Grapes of Wrath. Then, in May 2000, the IDF unilaterally retreated from the security zone to the international border. The retreat led to the disbandment of the SLA and produced an extremely tense quiet along Israel’s northern border. Al-Hariri served as prime minister for 12 years. He was finally dismissed following years of friction between him and Syrian-supported President Emile Lahoud. In February 2005, al-Hariri was murdered when a booby - trapped car exploded adjacent to his own vehicle. The assassination unleashed a political storm in Lebanon and a wave of protests against Syrian occupation. Many suspected that the Syrians were behind al-Harari’s murder, because he had consistently opposed the Syrian occupation. In addition, considerable international pressure was placed on Syria to remove its troops from Lebanon. 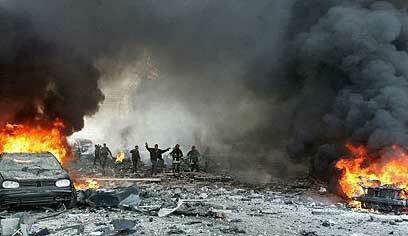 In April 2005, Syrian President Bashar al-Assad instructed his forces to retreat from Lebanon. The country would remain in relative calm for just over a year. Then on July 12, 2006, Hizbullah captured two Israeli soldiers and killed three others, sparking tensions between Israel and Lebanon yet again, and leading to the breakout of a full-out war, which killed nearly 2,500 on both sides of the conflict. After several weeks of fighting, the Second Lebanon War ended when the United Nations Security Council issued Resolution 1701, which called for an immediate cessation of hostilities. The partial ceasefire came into effect on August 14, 2006. Lebanon's current situation is highly unstable, as opposition to the standing government recently grew when Hizbullah, the Christian Free Patriotic Movement (FPM), and Amal joined forces. In November 2006, the three groups demanded more seats in the government, claiming the change was necessary in order for a national unity government to be established. The demand was refused, leading to the resignation of five Shiite Ministers from Hizbullah and Amal, as well as the resignation of one Christian minister from the FPM. One week later, on 21 November, 2006, Lebanon's Minister of Industry Pierre Amin Gemayel was assassinated by gunmen in the outskirts of Beirut. Since the assassination, pro-government and anti-government groups have continued to clash, stirring up fears of a possible civil war.